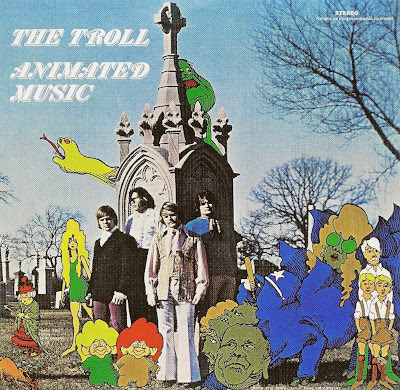 The Trolls inhabited Chicago, Illinois and issued several noteworthy 45s. They kicked off with Ever Day And Every Night, forceful beat modelled loosely on Gloria, backed by a Beatlesque ballad. The follow-up was more overtly Invasion pop, with two upbeat ditties a la Herman's Hermits. They Don't Know continued in the same vein and added a slightly fuzzy guitar. There Was A Time is a frantic fuzzy popper with harmonica, Cryan' Shames harmonies and a rousing ending. Until that point all had been written or co-written by Richard Clark. Then Richard Gallagher came up with Baby, What You Ain't Got... and they let RIP with a stormin' fuzz-fest of heavy pop - awesome! The flip is harmony-pop and sounds exactly like The Critters.